Resistance to chemicals is due to the intense selection pressure exerted on the population that is controlled. There is only a limited number of chemicals that are effective to control pests and diseases. This causes a high intensity selection pressure with limited products with the result that evolution is set in overdrive mode. Traits resistant to these limited chemicals are favoured, or put it in another way, the pests and diseases that stay alive after treatment have resistance and will be the future generation. Growers thought that by using various chemicals resistance buildup could be avoided, but it is not the case. Resistance to chemicals severely restricts a growers options. Both cultural practices (continuous cropping or mono cropping, isolation, transport of infested material) and pesticide use patters (frequency of application) contribute to resistance developed. The use of pesticides is an important component in control, if it is used judiciously and supported by cultural practices in an integrated control program. In the last decade very few new novel chemicals were developed. This is a major limitation for growers. It means that pests and diseases had limited new exposure to control and genes that are tolerant to these compounds survive. To develop a new chemical takes about 10 years, if you are lucky. Chemical resistant is a worldwide problem. It is not only limited to greenhouse crops but open field systems as well as domesticated animals. According to an IRAC (Insecticide Resistance Action Committee) publication, more than 500 insect and other arthropod species (like mites) have already shown resistance to one or more classes of insecticides. They key pests on crops under protection are aphids, thrips, white flies, leaf-miners and red spider mites. 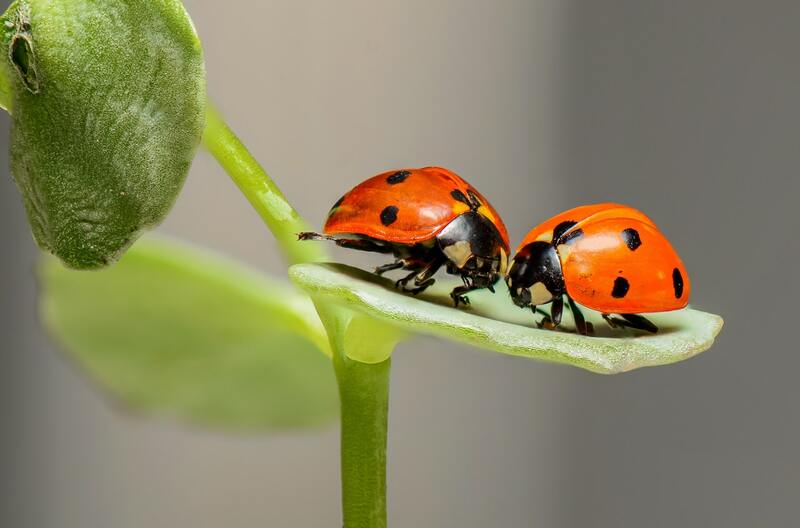 All of these pests have a history of resistance to insecticides on crops such as tomato, cucumbers, chrysanthemum, carnations and roses. Poor control is usually falsely identified as resistance. In many cases poor control is caused by ineffective application such as wrong nozzle size, incorrect nozzle or system pressure and incorrect droplet size are but a few issues. Equipement is also to blame. Incorrect calibration and blocked nozzles are one of the major problems. Growers often have limited time to apply chemicals and it is done in unfavourable environmental conditions. The conditions in which chemicals are stored have a significant influence on the effectiveness after a while. Mixtures and cocktails with different chemical groups can cause incompatibilities reducing effectiveness. The water pH and EC also plays a significant role in chemical efficiency. If a pesticide becomes ineffective due to resistance, it can be lost forever, leaving us with less effective chemicals which are less environmentally friendly, more expensive or in extreme cases with no alternatives. Resistance is the inherited ability of a specific organism occurring naturally in a population, that allow them to survive which under normal conditions would have killed them. Resistance development over time is simply a result of natural selection. Resistance is evolution on steroids helped on by human interference. The intensity of product use, including dose rate, number of and timing of applications, area under control, alternative control methods used (cultivation) and resistance against similar products. If dosages need to be increased, or the timing between two applications shortened to get the same effectiveness as obtained in the past, resistance can be suspected. That is to say that the equipment was in good order and the method of application is done as prescribed. Resistance can be confirmed through tests in a laboratory. Companies use these tests to determine if there is a problem with a product, or if problems may develop over time or if there are other reasons for ineffective control. Biochemical resistance includes the targets ability to alter and detoxify the chemicals. Physiological resistance includes changes in target penetration and in the transport, storage and excretion by the target. Behavioural resistance constitutes involved behaviour, which reduces the targets exposure to toxic compounds. This includes changes in activity that alter contact with the chemical residues and host/habitat preferences. It is possible that resistance can develop for more than one chemical. This can manifest as resistance to the presence of a single mechanisms or multiple resistances against various products. Strategies to prevent resistance development. The key to managing resistance is to reduce selection pressure. Only through the rotation/alternation of chemical groups with different modes of action can rapid resistance development be reduced. Insecticides and acaricides can roughly be divided into 17 groups, each with a different mode of action. Organophosphates and carbamates belong to the same group. Both inhibit the enzyme acetylcholinesterase, interrupting the transmission of nerve impulses. Growth regulators interfere with the deposition of chitin or with the moutling process. Some black electron transport in respiration ATP synthesis in mitochondria of insect cells. Others interfere with the transmission of the nerve impulse down the axon, (eg DDT analogues) or cause excessive release of acetylcholine which leads to repetitive nervous discharges, or act as an axonix poison on both the peripheral and central nervous system stimulating repetitive nervous discharges and leading to paralysis. It is crucial to rotate groups, not only just active ingredients or trade names. Rotate chemical groups. Do not apply more than one active ingredient, from the same group, to the same crop/ornamental plant in one season. For example; metamidophos (active ingredient) is an organophosphate (OP) with the following trade names: Metamidofos, Metamidphos, Methaphos, Midofos, ortho Monitor, Sniper, Tamaron or Thamido, while mercaptothion, is also an OP sold as Avigard, Datathian, Malasol, Malathion, Mercaptothion and Merkaptotoks. The first application in a season should have a different active ingredient than the last application in the previous season. A single active ingredient should only be applied once or twice to a specific crop per season. Active ingredients must be applied in such a way that the damaging effect to predators and parasitoids are limited. If an active ingredient no longer gives the required control, an active ingredient from the same group should not be applied. Apply pesticides only at registered dosages and recommendations. Increasing concentrations does not always help and in the long term cause more harm to the environment than anything else. Furthermore the increased concentration can be detrimental to the crop being sprayed. Draw up a seasonal control program and consider the options before a problem appears. Plant if possible, resistant varieties. Plant as early as possible and follow good agricultural practices to prevent plant stress. This is very important in thrips control where populations increase if plants are under stress. Always use clean seedlings and sanitation of a high standard. Keep adjacent fields free of weeds, rotten material and plant debris as they serve as source of infestation. Base spray programmes on action threshold levels to restrict the amount of applications. Scout on a weekly base to detect pest and disease presence and monitor by using pheromone traps or sticky traps. This will give an indication of peaks in adult activity for timing of applications. Keep a record of what was sprayed at what dosage and when. Each production area and producer has its own pesticide history and no single program exists that can be used in all situations. A reduction in the use of pesticides, fungicides, herbicides etc. is the most effective resistance strategy. Alternative strategies to those based solely on chemical management need to be explored, particularly for those targets that have been shown to evolve resistance rapidly to a wide range of compounds. The application of the right amount and type of chemical is important to prevent further development of resistance. Implement IPM principles.